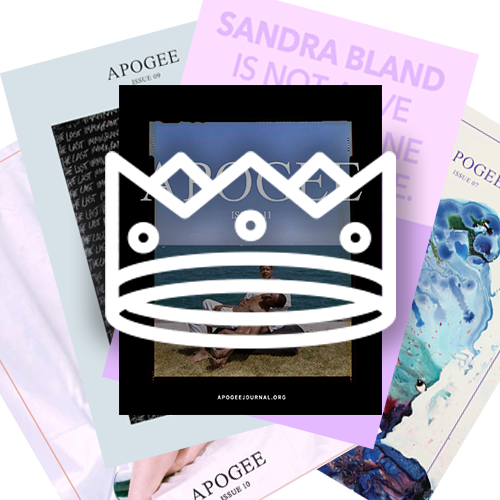 Get full access to our newest, freshly pressed, beautiful digital issues, featuring writing and visual art from a range of underrepresented voices, both emerging and established. 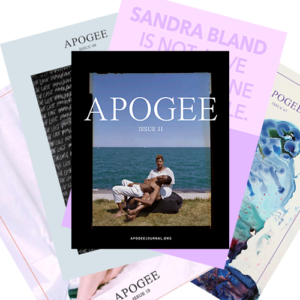 Previous issues have featured work by Morgan Parker, Danez Smith, Naomi Jackson, & more. You will have access to all Apogee archives. 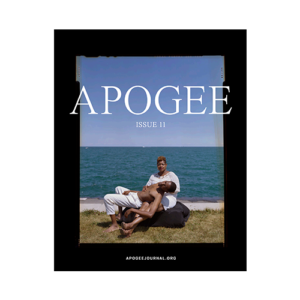 You’ll also receive an Apogee gift in the mail with the publication of each issue — from exclusive back issues to t-shirts and tote bags. Your membership at $10 a month allows us to design and publish each issue, bringing new, fresh voices to a wider audience.